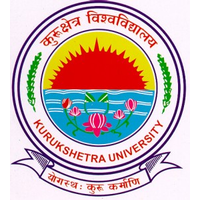 Kurukshetra University Clerk Recruitment 2019 Notification for 198 Clerk Position is released by the Kurukshetra University Officials. Interested people, from the Haryana State who are searching for the Government Jobs, can go ahead and apply for this Kurukshetra University Clerk Recruitment 2019. Remember applications for the Kurukshetra University Clerk Recruitment 2019 have to be submitted in the Online Mode only. No other means of applications will be accepted. Also, the Kurukshetra University officials didn’t give any information about the Last Date in the Kurukshetra University Clerk Recruitment 2019 Notification. But they do specify that the applications will be available from 9th April 2019. If you are not eligible, to apply for this Kurukshetra University Clerk Recruitment 2019, please go ahead and check more other Government Jobs in Haryana on our site Freshers Now. Good chance is here for the people, who are looking for the Government Jobs in Haryana. Now, all those people, who completed their Graduation from any Recognized Institute or University in India, as the Educational Qualification, can check the remaining details before applying for the Kurukshetra University Clerk Recruitment 2019. Well, here in this section, we are providing a table. And that table covers all the details about the Kurukshetra University Clerk Recruitment 2019. So, before applying for the Kurukshetra University Clerk Recruitment 2019 check them all without skipping. Well, the table covers information such as the Name of the Post, Organization details, Number of positions available along with the Important Dates, Selection Process, and Job Location. Knowing all those details about the Kurukshetra University Clerk Recruitment 2019 is very important. Apparently, those contenders who are willing to apply for the Kurukshetra University Clerk Recruitment 2019, have to finish their Graduation from any Recognized Institute or University in India, as the Educational Qualification. Contenders with their age between 18 years and 28 Years can go ahead and apply for the Kurukshetra University Clerk Recruitment 2019 before the final date. Kurukshetra University Officials are going to either Written Test or Interview or both. For more information please check Kurukshetra University Clerk Recruitment 2019 Notification. Check Kurukshetra University Clerk Recruitment 2019 Notification. From there go to the Job or Career Section which is available at Left side. Over there you will find the advertisement for the Clerk Position. Open it and read all the information. And then submit the application before the final date. Like the information, we provided about Kurukshetra University Clerk Recruitment 2019? Well, then you can find more such Latest Govt Job Updates by exploring our site.